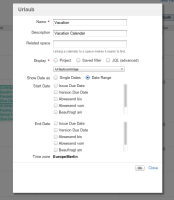 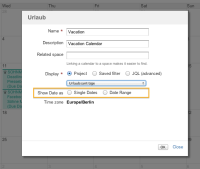 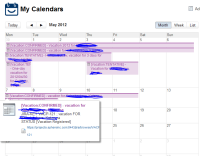 [CONFSERVER-51108] Show a date range in a JIRA calendar - Create and track feature requests for Atlassian products. 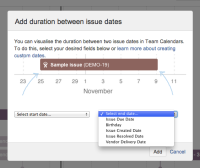 I would love a feature to display two defined dates (coming from JIRA) in the embedded Team-Calendars JIRA calendar the same way, an event is displayed within the events calendar (a bar starting at date1, drawn to date2). 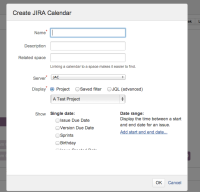 This would be a great improvement and helps us using JIRA even better (and away from only doing software development with it).